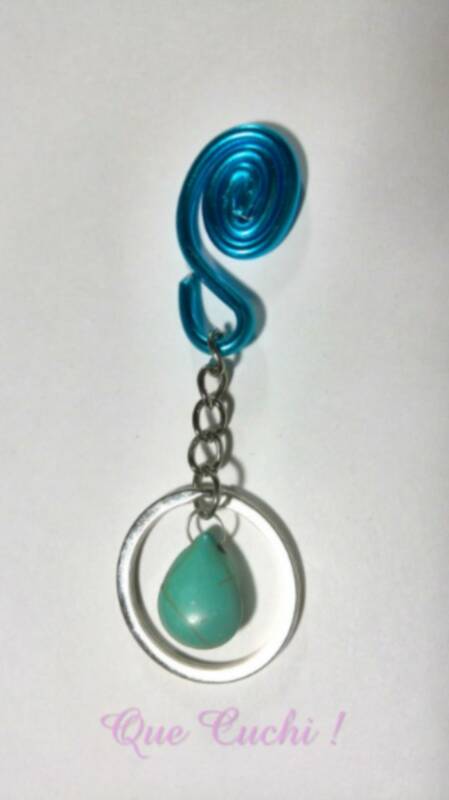 Keychain that clings to the bag to find handmade keys more easily with 3mm blue aluminum wire and a teardrop bead Turquoise stone, the keychain is silver metal. Turquoise helps in case of malfunction of the liver and glands. It is a positive, optimistic stone that discerns good from evil. It restores cheerfulness to sad and depressed people. Protects dreams of anxiety and nightmares. Zodiac: Pisces, Sagittarius, Scorpio and Aquarius.